Century Massage - Renton's Best Kept Secret! Century Massage continues to set the bar in Renton for professional medical and orthopedic massage and quality of service for many years. As the saying goes ‘practice makes perfect’, and our staff has had the time to refine its technique to a finely tuned art. We have specialists in almost all forms of massage modalities, and we constantly strive to stay up to date on the leading advancements in the field. It is Century Massage's policy to have their staff get together every month to refine their techniques by working on each other. Having the whole staff give positive criticism ensures that clients only receive the best of care which is tried, tested, and true. We take great pride in offering the city of Renton and nearby Kent, Tukwila, Newcastle, Issaquah, and Seattle communities a variety of different modalities under one roof. Our personal approach to your mental and physical well-being has gained us a reputation as the most knowledgeable, also accessible, massage & bodywork clinic in the area. We understand that if you have never had a massage therapist work on you then you may not know which therapy is best for your particular need. Please give us a call in order to go over what your expectations and requirements are and tailor a therapy session to your exact specifications and match you up with one of our Licensed Massage Therapists. Come and experience something new or revisit an old friend; if you have muscle pain then Century Massage has got you covered. With several practitioners in the same place, we guarantee that we have something to get you on the road to recovery. Sports Massage / Athletic Massage encompasses the treatment of health ailments of various etiologies (causations) through 'hands-on', physical intervention. Physical treatments includes massage, soft tissue mobilization, various connective tissue techniques, myofascial release (MFR), mobilization of joints, joint manipulation, mobilization of neural tissue, visceral mobilization, and strain and counter-strain usually focusing on muscles and areas of the body that is used often in a particular sports. Medical Massage is outcome-based massage. It is primarily the application of specific treatment protocols targeted to the specific problem(s) the patient presents with physician's diagnosis and administered after a thorough assessment/evaluation by the medical massage therapist. Massage Cupping is the combination of massage movements (positive pressure) with the use of a suction device on the skin (negative pressure). A cup is positioned at the area to be treated and, depending on the type of cups being used; a vacuum is created within the cup to draw the skin and underlying tissue into the cup. The produced vacuum creates a suction effect that increases blood and lymphatic circulation systemically and to the local area, relaxes muscle tissue and support, draws stagnation, pathogenic factors and toxins out of the body and releases a myriad of pain causing factors. Myofascial Release (MFR) is a form of soft tissue therapy used to treat somatic dysfunction and accompanying pain and restriction of motion. This is accomplished by relaxing contracted muscles, increasing circulation, increasing venous and lymphatic drainage, and stimulating the stretch reflex of muscles and overlying fascia. Thai Massage is a type of massage in Thai style that involves stretching and deep massage. This form of bodywork is usually performed on the floor, and the client wears comfortable clothes that allow for movement. No oils are used in Thai massage. It is known in Thailand as "nuat phaen boran", literally, the ancient-manner massage. Neuromuscular Therapy (NMT) is a form of massage. It is distinguished from other types of massage in that a quasi-static pressure is applied to the skin with the aim of stimulating specific areas of skeletal muscles. Often these areas of muscle are myofascial trigger points. Manual Lymphatic Drainage (MLD) is a type of gentle massage which is intended by proponents to encourage the natural circulation of the lymph through the body. 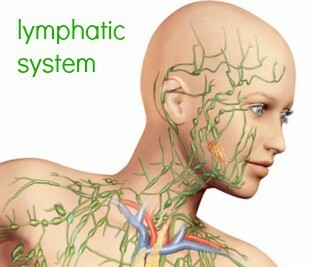 The lymph system depends on peristalsis and the movement of skeletal muscles to squeeze fluid through lymph ducts and vessels. 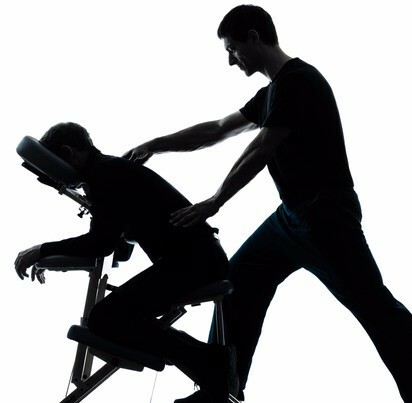 On-Site Chair / Seated Massage also called Workplace Massage or Office / Corporate Massage. Chair massage is a short massage, anywhere from five to 30 minutes, done through the clothing. It typically focuses on key tension areas in the back, neck, shoulders and arms. A professional practitioner performs it in a specially designed ergonomic massage chair. Pregnancy/Pre-Natal Massage Pregnancy massage is massage therapy specifically tailored for the expectant mother's needs. It is also called pre-natal massage. The mother's body must be properly positioned and supported during the massage, using pillows and padding. Proper positioning ensures comfort and safety for the mother and baby. If you wish to be in the prone position, please let us know. Intra-Oral Massage is a treatment massage best implemented if you have been diagnosed with TMD (Temporomandibular Joint Dysfunction) or have pain in the jaw, head, neck and/or shoulders. 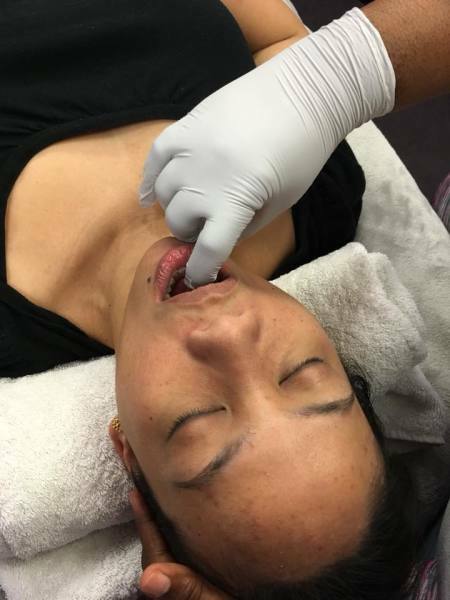 Treatment consists of massaging the face, neck, shoulder, muscles in and outside of the mouth to help treat and eliminate trigger points, nerve entrapments, and pain referrals. 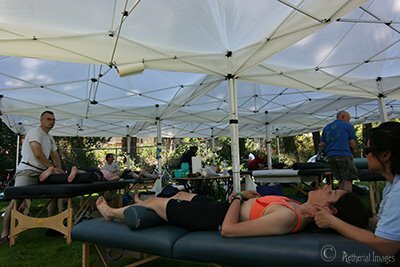 We work closely with several Massage Practitioners to provide quality sports massage at annual bicycle fundraising events such as the Obliteride in Seattle. Give us a call for a quote. Table Thai Massage is Thai style massage modified for the table that involves stretching and deep massage. This form of bodywork is usually a mixture of sports massage, myofascial release, compression, and stretching. What's Happening at Century Massage? Auto and work claims (OWCP, State L&I, and Private Worker's Comp Insurance) are welcome and accepted. We are First Choice Health Network (FCHN) PPO providers. Please check your insurance card to see if you are within the FCHN network. ​You must provide a referral (Rx) for massage therapy from your primary health care provider when going through insurance even when your insurance tells you it's not required. We need diagnosis codes from your doctor since LMPs cannot diagnose, which falls outside our scope of practice.